During the first few years of my son’s life, his dad traveled almost full-time for work. He would leave out Sunday night or Monday morning and usually didn’t get home until Friday sometime. While he was away, and since we had no other family close by, my son and I became an exclusive little dynamic duo. I proudly took on the role of being the working and single parenting super mommy. I had routines and systems and charts and I was rockin’ it. This was until Dad got home. Instead of looking forward to his arrival and welcoming the parenting support he provided, I treated him like an intruder. I didn’t know I was doing it and it wasn’t meant to be hurtful. It was just that my son and I had our groove and well, he was messing with it. But over time, my insistence on “doing it all” started to lead to some serious mommy burnout. I was trying to power through post-partum depression without knowing what was going on with me. And I increasingly became more and more resentful towards my husband. Couldn’t he see how exhausted I was? Didn’t he think it was strange that I was crying all the time? This was his kid too! Why didn’t he offer to help? And then a revelation came to me one day when I was randomly flipping through an issue of Real Simple magazine at the doctor’s office. The article I stumbled upon was all about women and time. Of course the main focus was on how today’s moms feel starved for it, and many of the typical explanations were provided; kids, chores, work, volunteering, etc. I think deep down many of us know what it is, but I’m not sure it is something we mommies really want to acknowledge. I’ve observed it in the households of friends and I was certainly guilty of allowing it to happen in my own. What is this shameful secret so many of us hide that deprives us of activities like reading our favorite books, going out with friends or even taking that much needed nap? Why don’t we call it….. Dad Delegation Denial. We married these men because at some point in time we felt they were capable individuals who could be life partners with us. What was that word, oh yeah, PARTNERS. 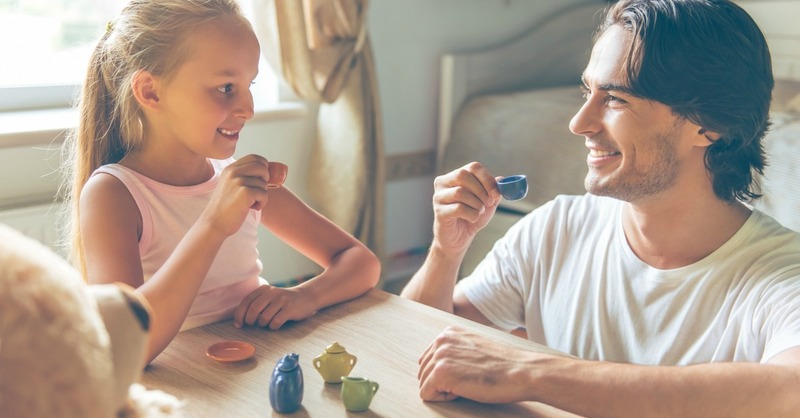 While we probably reinforce the importance of sharing to our children about six million times a day, it appears we may not be modeling this skill very well when it comes to our spouses. According to that same Real Simple article, between six and eight women out of ten think their partners have equal or even higher standards when it comes to household chores and childcare. So, clearly most of us believe on some level that our significant others are up to the challenge. Yet, it seems that no matter how burnt out or exhausted we may feel, we continue to play the part of “me time” martyrs refusing to let, and or ask (no we can’t expect them to read our minds), Dads to step up. It’s sad that dads today are often portrayed on television and in the movies as bumbling idiots. Because the reality is that this generation of Dads can competently handle and wants to be more involved in taking care of the house and the kids. The media tries to tell us that fathers are lacking in participation, but research is telling a very different story. Holy cow, that’s a HUGE improvement! If we moms aren’t feeling this gigantic shift in male behavior and somehow still perceive the gap between our workload and our spouse’s to be wider than the Grand Canyon, then perhaps we need to look to ourselves. A father’s involvement, especially with his kids, is as important as a mother’s even if it may be different. Study after study shows that children who have an involved father are more likely to be emotionally secure, be confident to explore their surroundings, and, as they grow older, have better social connections with peers. So, maybe it’s time for us moms to evaluate if we might be guilty of Dad Delegation Denial. 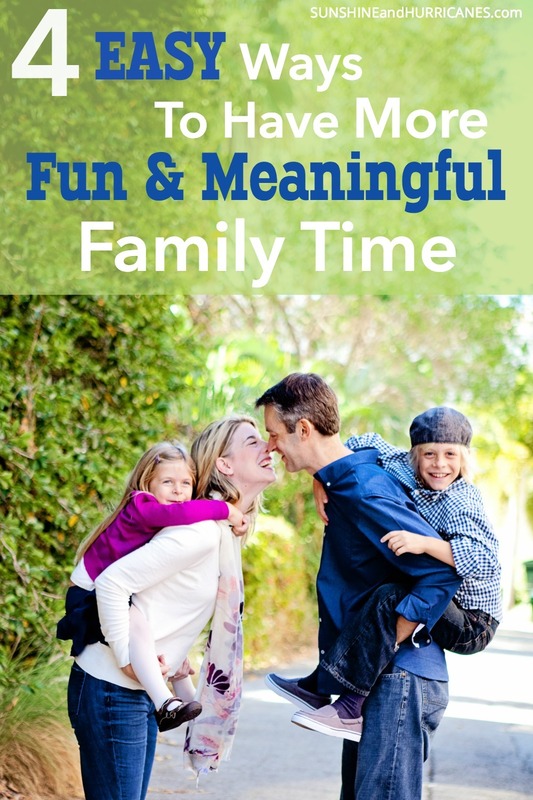 If so, we need to realize that we might not only be hindering the relationship between our children and their dad from developing to its fullest potential, but also denying ourselves the down time that would allow us to be better mothers. Not sure where to start to give Dad more time with the kids? 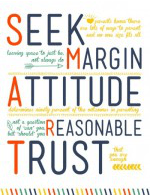 Here are five fantastic ideas that are easy to make happen almost immediately. Schedule a Dad Date once a month and be sure to put it on the calendar. This is Dad’s chance to plan an outing for him and the kids. It can be as simple as a trip to the park or more involved like a visit to a local museum, a day at the ballpark or just pizza night at a local restaurant. It’s great if these can be one on one with each child and it may mean you alternate who goes each month. But if it needs to be the whole crew, then that is better than it not happening at all. Let Dad and the kids decide on a simple project they want to make together. Last summer my husband and the kids created a corn hole game for the family that we use all the time. Even if Dad isn’t the handy type, he may have other hobbies that he can share with the kids that could help spark their own passions. I know many dads who love photography, cooking, fishing, running, etc – any of these would be fun for the kids and great for them to experience and learn about. 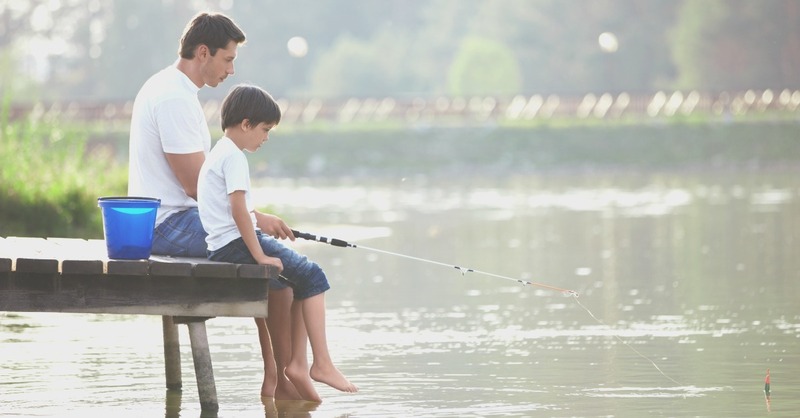 Set aside a time each day that can be totally Dad’s responsibility. I know in many homes, Dad handles all the bedtime duty from stories to kisses goodnight. If both parents work and this time is precious, don’t default to it being a mom only privilege, share the time as a family. Most Dads have a favorite flick and he’d probably be thrilled to introduce the kids to it at an age appropriate time. It may not be mom’s favorite, but getting to know some of Dad’s preferences is a great idea, too! Have Dad involve the kids in the responsibilities he typically oversees in your family. Whether it’s cooking, washing the family car or yard work, these experiences provide opportunities to discuss work ethic and teach life skills. Plus, it creates a casual conversation environment where they can learn a little more about each other. 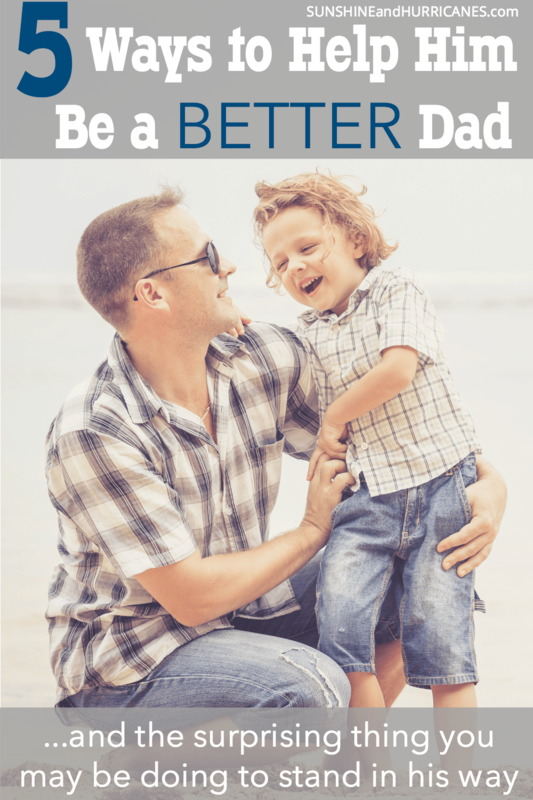 Overall, probably the one things we mom can do to help him be a better dad is to simply get out of the way more often. Let me suggest you start by taking that much needed nap! What Other Ways Can We Support Dads?